One of my biggest, admittedly irrational, fears is running out of makeup. Crazy, I know! But being able to buy these products from just about any Priceline or department store is very comforting. I do realise how insane that makes me sound but then we all have our little peccadillos! As someone who wears makeup almost everyday, sometimes applying it twice a day, I go through products at an utterly ridiculous rate. I'm also a bit of a germaphobe so I definitely stick to that old 3-month mascara rule. This means that makeup can be quite an expense for me so buying my everyday stuff at L'Oreal prices rather than Chanel ones definitely hurts the wallet a little less. It's fun! I love walking into Priceline and checking out the staggering number of displays and picking up a couple of new lip colours or nail polishes for less than a pineapple ($50 note for those not accustomed to Aussie slang). High end cosmetics seem to be marked up so much more here, whether because of import taxes, shipping etc and it's hard to justify paying $60 for a lipstick you may only wear twice. Read more about the cost of high end cosmetics in Australia here. Maybelline Fit Me Foundation is super light on the skin and comes in a load of different shades and undertones. 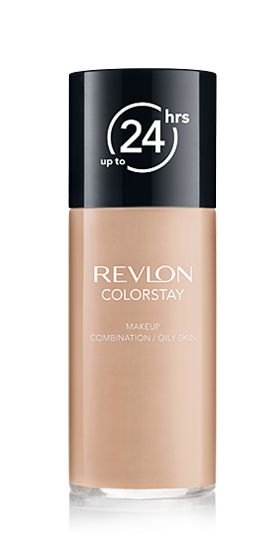 I mix this with Revlon ColorStay for Oily/Combination Skin which bumps up the longwear factor and increases coverage as well. 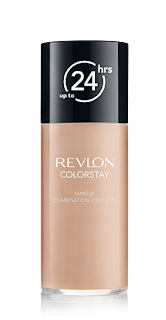 Also, Revlon foundations are a little bit too pink for my skin so the golden undertone of the Maybelline foundation helps to counteract that a bit. For my blush I like to use Bourjois Blush which is a barely shimmery, rose scented blush pot. It comes in a ridiculous range of colour and lasts an absolute age. 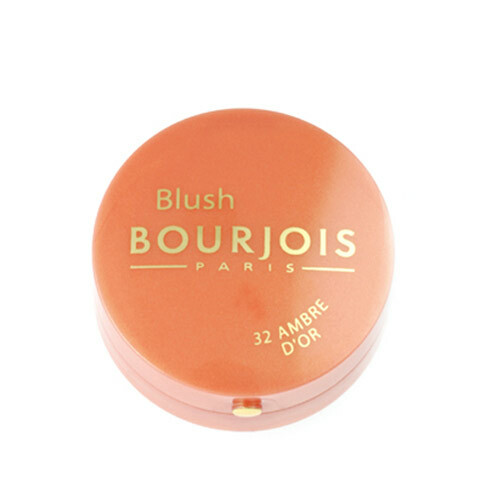 It's actually pretty highly pigmented for a drugstore brand and blends really well. 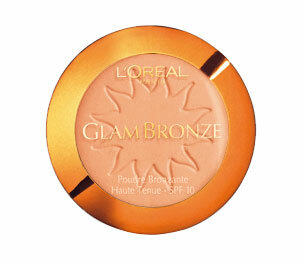 I love L'Oreal's GlamBronze Bronzer in Golden Sun because it's brown based not orange and has a matte finish. What more could you want? I think I've raved about how much I love the Maybelline ColorSensational Vivids line before but I really can't emphasise how great they are! They're super pigmented and come in a great range of shades, comparable to any high end makeup line. They can be worn with the original satin finish or can be matted down. 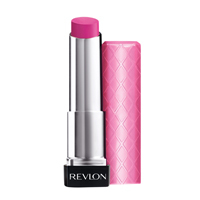 The much lauded Revlon Lip Butters also have a permanent place in my makeup arsenal! A cross between a lipstick and a lip balm; they provide a wash of colour than can be built up or worn sheer. Lip gloss is something I'm a little fussy about. The perfect lip gloss has a creamy, gel like texture with no gritty shimmer or gloopy stickiness. These glosses from L'Oreal definitely hit the spot! 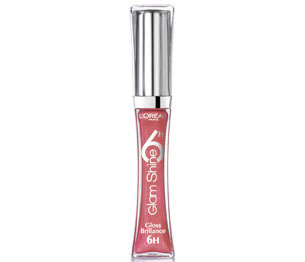 The Glam Shine 6H Volumizer gloss really does last; it dries much like longwear lipstick does but stays shiny. Amazing! 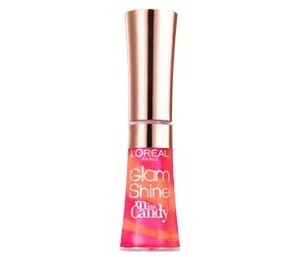 The Glam Shine Lip Gloss has that jellyish texture I was talking about earlier. 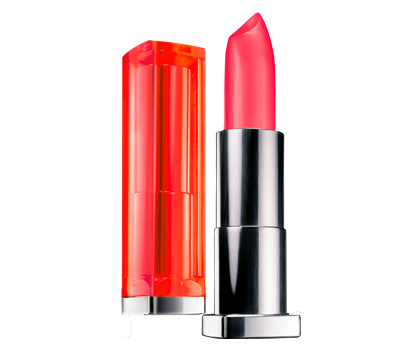 I would compare it to the Lancome Juicy Tubes' texture. Also, more importantly neither gloss has an offensive scent or taste. I have typical Asian eyelashes; straight, short and thin. These mascaras go a long way towards fixing that! My trick is to use waterproof mascara as a base over curled lashes as it dries quickly and means that your mascara isn't going anywhere! My favourite product for this is L'Oreal Lash Architect 4D Mascara which also helps bulk up the base of my lashes. 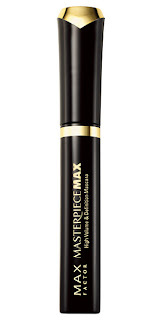 Then I go over that with MaxFactor Masterpiece Mascara which separates and lengthens my lashes. Both mascaras are super dark so you won't have a problem with lashes looking grey under bright light. 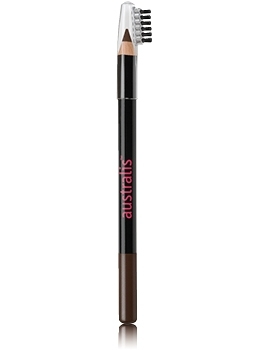 In my tutorial in how to fill in your brows I talked about how great the Australis Brow Pencil is. 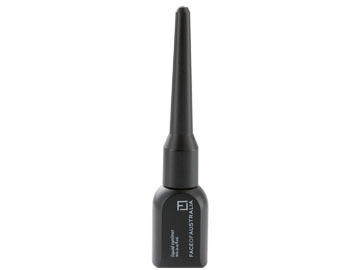 It has a slightly waxy texture which helps mimic the brow's texture as well as helping hold the hairs in place. For my eyeliner, I'm a definite cat eye fan and I use the Face Of Australia Liquid Liner almost exclusively. 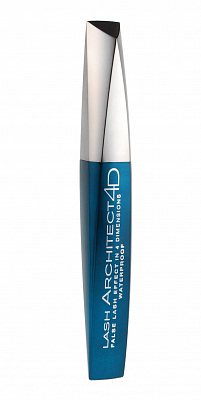 It comes in a bottle like a little inkpot and has a nice long, fine brush inside rather than the felt tips seen in other liquid liners. 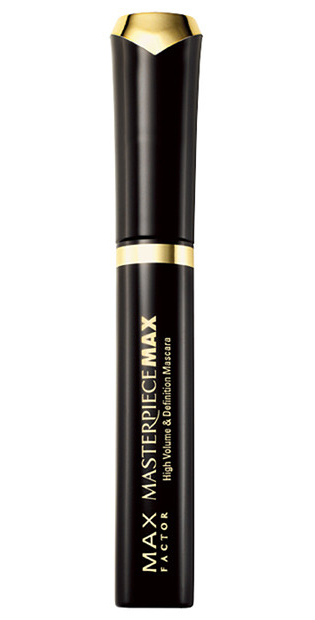 It dries to a matte finish really quickly and the pigmentation is fantastic; not grey, not navy, not brown...BLACK! It's opaque from the first swipe and the brush makes it really easy to control. One gripe is that it's unfortunately not waterproof but that being said, you'd have to be absolutely doused in water before it does any real damage. There you have it! My favourite drugstore makeup products. Do you have any drugstore cosmetics that you swear by?